You’re a nail expert. You know all the different manicure shapes, you’re familiar with the longest-lasting polish formulas, and you even frequent the best nail salons. But what happens when you remove your polish to find that your once strong, bright, and shiny nails are turning a less-than-satisfactory shade of yellow? Yellow nails are a bona fide beauty concern. That’s probably because, as Emily Splichal, DPM, says, “most people think of fungus as the only cause of yellowing nails,” even though that’s not always accurate. (In fact, it might be as simple as spacing out your manicure appointments—but more on that later.) We get it: The last thing you want is for your hands to be associated with fungus. So we asked Splichal to explain the various causes of and treatments for color-changing nails, as well as how we can prevent them. Keep reading to see what she had to say about getting rid of yellow nails! According to Splichal, even though yellowing nails can be caused by fungal infections, they're more often due to regular nail polish use. "Certain nail polishes contain triphenyl phosphate, toluene, formaldehyde, dibutyl phthalate," she says, which are all ingredients that "can weaken and leech the nutrients from the nails." As a result, they become discolored, brittle, and weak. In this case, Splichal says that "keratin or biotin supplements are helpful." 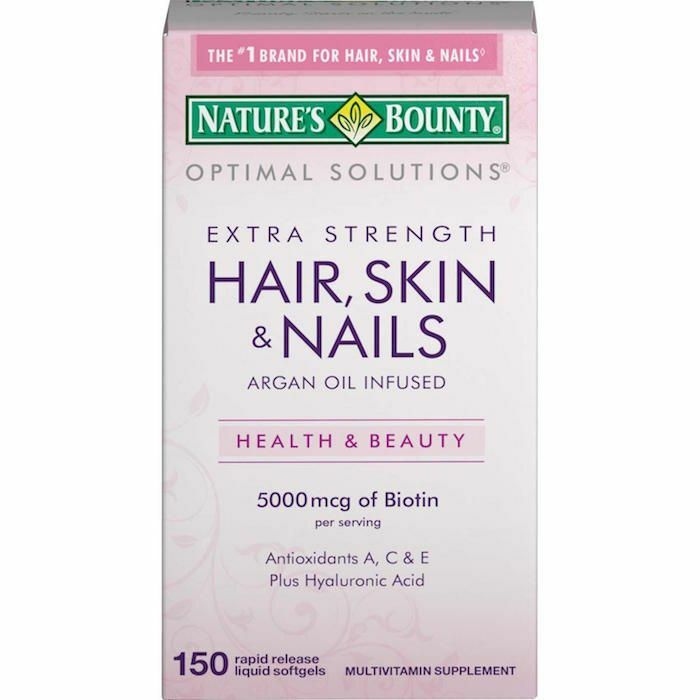 We like the biotin supplement from Nature's Bounty, as it bolsters nail health from the inside out. It's formulated with argan oil, hyaluronic acid, and antioxidants to strengthen and nourish. The good news is that you don't have to give up nail polish altogether. 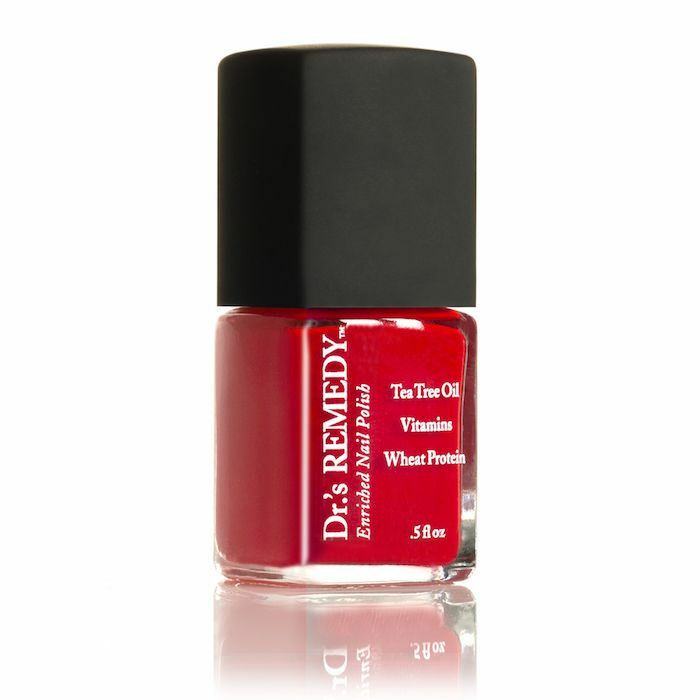 "I recommend patients use nontoxic nail polishes such as Dr.'s Remedy and to take nail polish 'holidays.'" In other words, don't keep your nails lacquered 24 hours a day, 365 days a year. (We're talking directly to our fellow polish addicts.) Space out your applications in order to let your nails breathe. Seriously, it could be as simple as that. If your nails are really damaged (and, by default, yellowing significantly) talk to your doctor about other options. "There is a great product I often recommend called Nuvail which is designed to make the nails stronger," Splichal says. This solution is applied topically to treat nail fragility and dystrophy like splitting, breaking, and peeling. It's available by prescription only, though, so seeing a medical professional is necessary. If you're not sure whether or not fungus is the issue, or maybe you took a nail polish break and the yellow color isn't disappearing, go see a doctor. (That's basically our motto: When in doubt, ask an MD.) This is important because if your yellow nails are due to fungus, you might need special treatment to completely get rid of it. "My typical regimen for patients with fungus is to do both topical and oral as a combination," says Splichal. "The best way to avoid getting fungus in your nail is to avoid trauma—this means avoiding improperly fitted shoes that cause banging into the shoes or excessive pressure. Trauma is the number one cause to nail fungus." There you have it. Next, read 10 life-changing tips for anyone whose nail polish gets ruined right away!